A modern WordPress theme for personal trainers, gyms, and anyone else trying to make the world a healthier place. Fitness inspiration can strike anywhere. That’s why Meridian Fitness ensures your site looks perfect no matter which device your visitors are using. 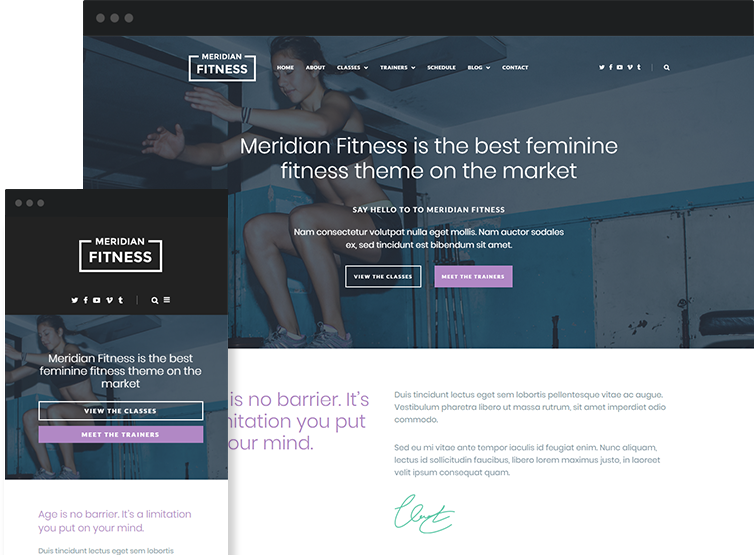 Responsive design is a must-have nowadays, and we made sure Meridian Fitness doesn’t disappoint. With just a few clicks, you can import detailed demo content. Our demo content saves you a ton of time when you’re setting up your site. Instead of building content from scratch, just edit and add your own branding for an easy customized site. 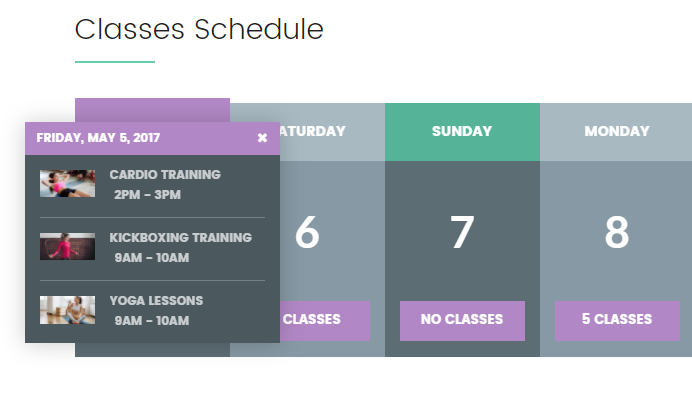 Showcase your classes and trainers in style with custom post types specifically designed to highlight important information like class schedules. Better yet, these two post types work together to ensure that the information is always accurate. Keep your clients up to date with a built-in newsletter widget based on MailPoet. No need to fiddle around with third-party email marketing tools. You’re ready to collect email signups from day 1. 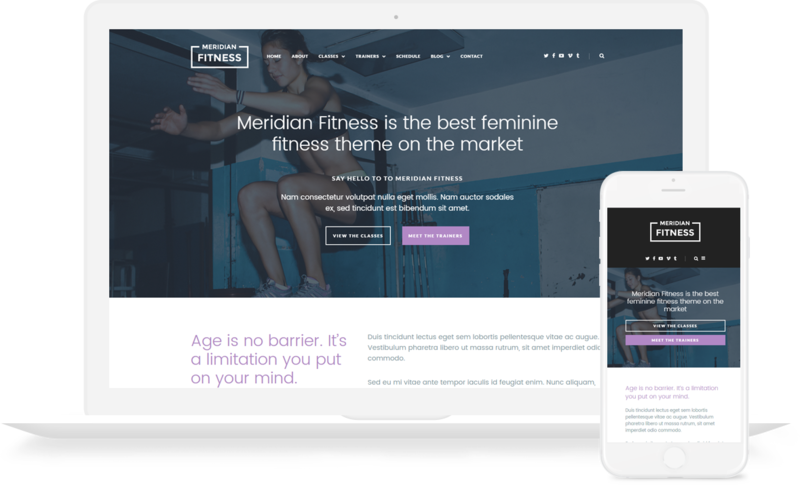 Meridian Fitness makes full use of the WordPress Customizer for easy real-time changes. No refreshing – you see every tweak right away. And if you want to make even more changes, our included Meridian Styler plugin lets you change up styles without needing to know any code. 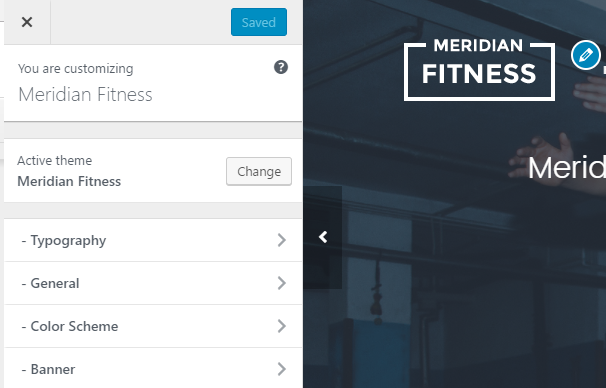 Once you create classes using Meridian Fitness’ Classes custom post type, Meridian Fitness automatically pulls your schedule into one easy-to-use view. Your visitors can click on each day to quickly pull up a detailed schedule of all your classes. Our themes are fully-optimized to offer you the best options for easily customizing your themes. Code standards exist for a reason. We follow them so your site loads blazing fast and won’t break down under pressure. This is my 3rd theme for my food blog and the last one! The design is great, the customization options are vast, and you can change and tweak things as much as you like and the support is epic, Dev is responding kindly, quickly and professionally. Highly recommended! The Support from Meridian Themes is excellent and surprisingly quick response times! using The Essence Theme and it is so easy to use! very good themes with a dedicated team for support. Support matters when I am going for any paid services, so here I suggest Meridian. A very nice theme. Looks beautiful and has enough options to really make it look unique. The support I received is also top notch. So if you like the look of the theme, definitely go and get this theme as it will be even better than your expectations! Great theme and greater customer support! Questions are answered the same day. It doesn't get any better than that! Upgrade or cancel your account at any time!